After getting arrested and indicted on six federal charges, it doesn't look like Tekashi 6ix9ine will be getting out of jail anytime soon. ATF agents reportedly picked up the rapper in NYC along with his recently fired manager, Treway Shottie, and two other men and charged them all with racketeering and firearms charges. The judge presiding over his case has reportedly denied bail for the 22-year-old rapper (real name Daniel Hernandez) because he said Tekashi is too much of a danger to the community. The "FEFE" rapper is currently being held at Brooklyn’s Metropolitan Detention Center. It's being reported he's being kept in general population as opposed to being isolated considering his celeb status. The judge noted his alleged participation in a robbery and the firearms that were confiscated from his apartment when ATF agents came to pick him up were two reasons he decided to keep him behind bars. You can see the weapons here. According to Rolling Stone, the rapper reportedly offered to surrender over $1 million and his passport to be bailed out, but that request was denied. 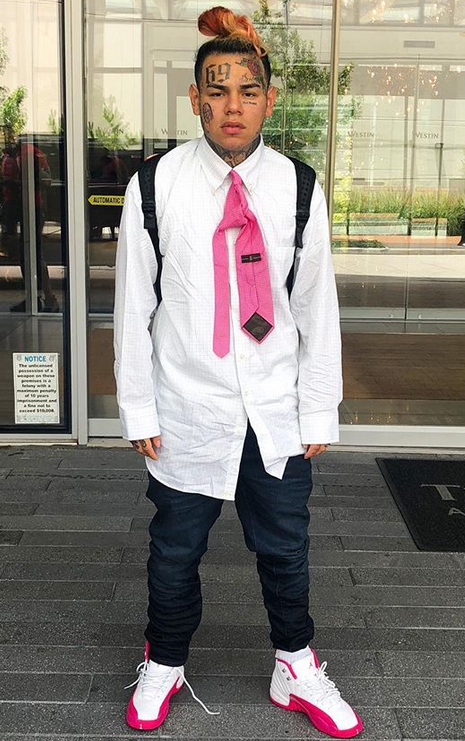 It's reported, Tekashi's attorney, Lance Lazzaro, plans to appeal that decision. As for home confinement, the judge said if Tekashi is given access to cellular technology, he can put things in place and there's no way the feds will be able to track everything he does. Tekashi is facing a mandatory minimum sentence of 32 years in prison, according to the prosecuting U.S. attorney at the rapper’s arraignment on Monday night. Oh, and get this. The charges were the result of a five-year federal investigation! Lazzaro contended that Hernandez has only been affiliated with the associates and, by extension, their gang for a little over one year, when he met them at a concert and subsequently hired them as his manager and security detail. Hernandez publicly fired his management and the rest of his team late last week, alleging in an Instagram video that they had been stealing from him. He subsequently gave an interview with New York radio station Power 105’s the Breakfast Club on Friday to expand on his situation. 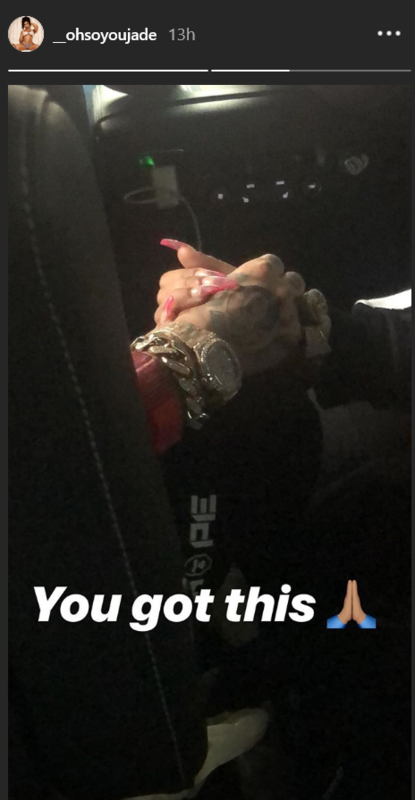 Last week, Tekashi publicly announced in an Instagram video that he was separating himself from his gang-affiliated associates. The feds discovered credible threats against his life as they were planning to "violate" Tekashi in retaliation. Sheesh. In music news, the NYC rapper is set to drop a new album, Dummy Boy, that features Nicki Minaj and Kanye West on November 23rd.